Jim's Loire: Farewell Charly Foucault – such sad news! I am very shocked and sad to learn of the death overnight of Charly (Jean-Louis) Foucault, the elder of the two brothers who run the exceptional Clos Rougeard making Saumur-Champigny, Saumur and Coteaux de Saumur. These are great wines and they have a great capacity to age. 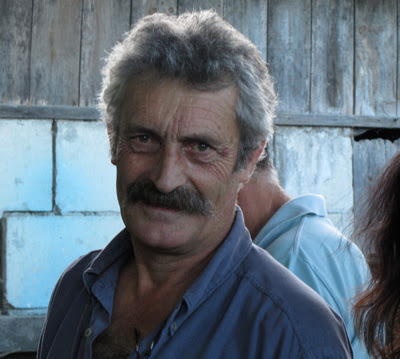 Charly died overnight in a hospital in Angers – he had been in hospital several times since the end of the 2015 harvest. Charly took over running the Clos Rougeard from his parents in 1969 with Nady (Bernard), who is three years younger. 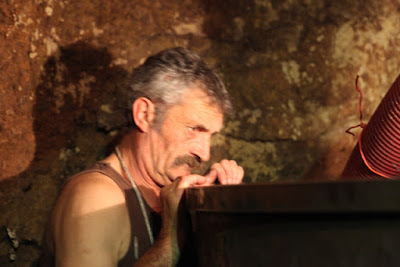 They are the 8th generation of Foucaults to make wine in Chacé. The oldest legal document about the domaine dates from 1664. Before the Second World War their grandfather sold his wines to the famous La Tour d'Argent restaurant in Paris. I first met Charly and Nady in 1990 when I visited them in their extraordinary cellar in Chacé – the first of several memorable visits. In those days the Foucaults were seen as marginal figures partly because of their careful use of barrel aging. It was tasting together with Charly and Nady that I first was shown the differences between the same from one barrel to another and from one cooper to another. It has been fascinating and very satisfying to see them and the Clos Rougeard be recognised as one of the greatest Loire estates. Through remaining true to their beliefs they became an inspiration to a new generation of vignerons. 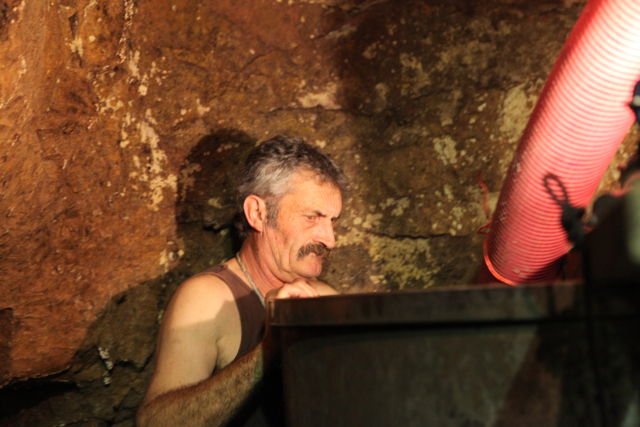 Charly and Nady shared a passion for making top quality wine using traditional methods both in the vineyard and winery. The Foucaults were never seduced by the chemical revolution of 1960s and 70s. Charly was very proud and supportive of Françoise, his wife, when she was in charge at Château Yvonne in Parnay, where her Saumur Blanc was excellent. Charly was great company with a fine sense of humour. I saw Charly all too briefly in October – never imagining that this would be the last time. Our sincere condolences to Françoise, Antoine and Caroline, and Nady and Anne. Our thoughts are with you. Charly's death has had a big impact on social media which shows the affection and respect that so many people had for him. To date the post on Jim's Loire has had over 1050 page views in under 24 hours and a similar post on Les 5 du Vin has attracted some 920 views. There have been a number of news stories as well as many tweets and posts on Facebook.